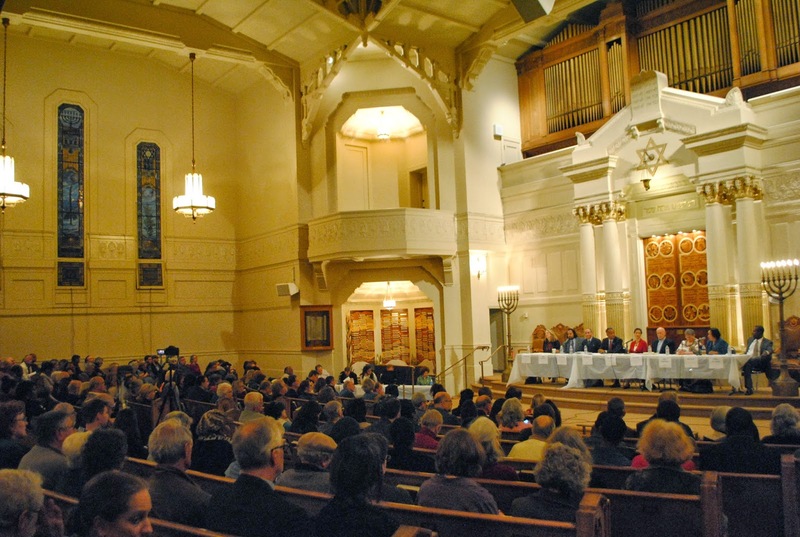 OAKLAND | MAYOR | Public safety, the likely signature issue of this year’s Oakland mayoral election, received its very own candidate’s forum Thursday night. Nine of the expansive list of challengers to Mayor Jean Quan offered their solutions for reducing violent crime in Oakland while sharply criticizing the current leadership at City Hall. 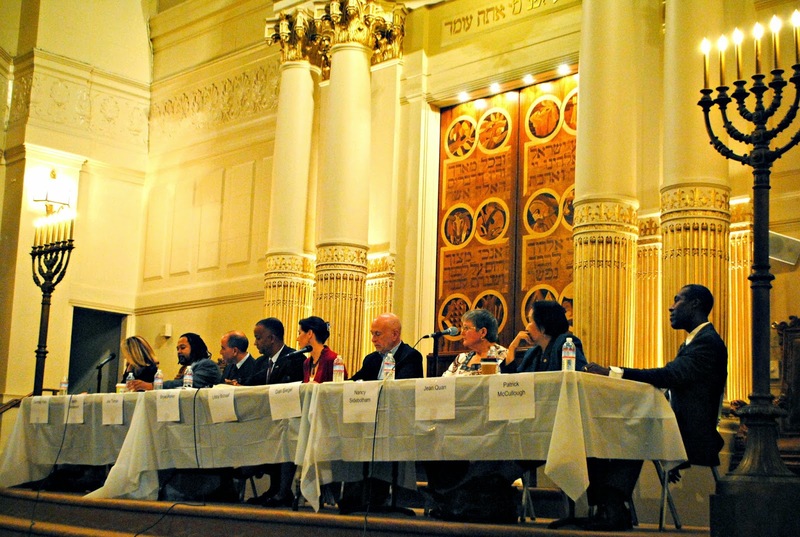 “You’ll know when you’re safe when you don’t have to have public forums dedicated to public safety,” said Joe Tuman, a university professor who finished fourth during the 2010 mayoral campaign. In the meantime, polls repeatedly show Oaklanders rank public safety, or the lack thereof, as the city’s most pressing problem. Although nearly every candidate is running on a platform to reduce crime, few described specific approaches or how they woud fund the costly expenditure with Election Day just over eight months away. Some like Port of Oakland Commissioner Bryan Parker said Oakland’s understaffed police department should increase its number of officers to 800. But when asked how he would pay for the expensive process of conducting police academies and graduating enough cadets to fill those slots, Parker said, “The money is there, but its being wasted” on multi-million dollar legal settlements stemming from the crackdown on Occupy Oakland, an resident injured in a gaping pothole and salary spent on the federal overseer appointed to reform the OPD. Tuman estimated the number of cops needed to keep Oakland safe is more like 900, while Dan Siegel, a well-known Oakland civil rights attorney, offered a more modest estimate of 650-700 officers. “It’s not a question of how many, but how smartly we use them,” he said. Siegel’s plan would assign nine officers and two detective to 60 beats across the city. He says the arrangement will help foster better understanding and knowledge of the each specific neighborhood. Others were deeply critical of Quan’s leadership over the last three years. City Auditor Courtney Ruby said Oakland has a “leadership deficit” and added, “as auditor, I look at the hard numbers, not excuses.” Jason “Shake” Anderson, a Green Party candidate and member of the Occupy Oakland movement called Quan’s administration “dysfunctional” following the the departure of yet another top city official this week. “Right now, we’re failing at government.” In fact, three of the first four candidates to open the nearly three-hour forum took direct shots at Quan, who often appeared to be staring blankly with arms crossed. Oakland activist Nancy Sidebotham said Oakland’s political machine has run the mayor’s office for the past three decades. “I’m running for mayor because I’m angry. I want change,” she said. However, Parker, Ruby and Siegel pointedly called for a change of leadership at OPD. Parker said police and residents are afraid of each other. “The first thing I would do is hire a competent police chief.” Ruby added, Oakland already had a fine police chief in Anthony Batts, who resigned under Quan, but lost him to City Hall’s micro-management of his department. When a panelist asked Siegel about the city’s poor record of proving cases of police misconduct, he said, “Not only do we need a new chief, but we need some new lawyers.” Siegel said the city’s next chief must make officer accountable for their actions and called for greater civilian oversight. This article also appears in Oakland Local. Posted in Bryan Parker, candidate forum, Courtney Ruby, crime, Dan Siegel, Jean Quan, Joe Tuman, Libby Schaaf, mayor, Negotiated Settlement Agreement, Oakland, Oakland PD, Patrick McCullough, public safety. Bookmark the permalink. Ask yourself a question. If you were a aging business owner looking for someone to run your business as you went into retirement, which if any of these candidates would you entrust to take your place as the president of your company? Is there anyone at all who would hire Quan? Simply put, Jean Quan is not very competent. Even if you like her positions, she is not qualified to carry them out. Hint, she isn't all that bright. It is not by chance she dropped out of UC Berkeley and never graduated from any college. She can't grasp the big picture and make the tough choices. “Simply put, Jean Quan is not very competent. I would extend this observation to most of Oakland's elected officials with the notable exception of Courtney Ruby. In regard to finding solutions to get the crime rate down, Jean Quan is CONSTANTLY AND ALMOST EVERY SINGLE DAY WORKING EXTREMELY HARD looking for new and fresh ideas. That is why almost every single day she changes Police Chiefs. MW, you should run for one of government seats, are you smarter or just loud mouth back ground singer.?. 1:14 PM… Police officers cost $185,000 each (before overtime) to cover salary and benenfits. Where do you think we can get $18.5 million dollars a year to hire 100 more officers? Some of the new folks running for Mayor think we can it by reducing the high current level of waste, by figuring out how to get income from currently-unused city properties like the Convention Center, by reforming and improving the police department so that there are far fewer millions spent on police abuse settlements and police overtime due to the high homicide rate and so on. 3:02. Let me ask you this: is out of control crime cheaper? I am not a budget analyst, so would have no idea where the money would come from. But as long as Oakland has the stigma, whether unfair or not, I dont see robust economic development. Everday citizens like to feel safe, and business owners want to feel safe. We need to FIND the money for more police AND crime prevention programs, if we want Oakland to thrive. T. Jordan: No, out-of-control crime is very expensive financially and socially. Puts an enormous burden on Oakland. Something that the city hall establishment doesn't care to look at. Yes, more money is needed for police numbers, police reform, crime prevention and coordination of all Oakland public safety functions. Coordination might mean hiring a civilian police commissioner to oversee the cops 24/7. City hall these days wears blinders. Commissioner might cost $1 million but should save many times that by making police work better and cutting violence as much as possible. Plenty of people in Oakland have deep enough pockets to ante up more taxes for reducing crime. But most of them aren't going to give up the money until city hall proves itself worth of trust and capable of spending funds usefully. 4:30. I agree 100 percent!